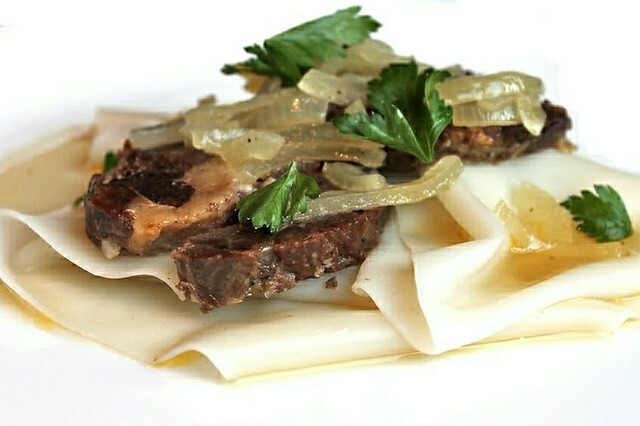 Apart from beshbarmak they name the following: baursaks (savory doughnuts, normally served alongside meat dishes), kaurdak (a stew made of mixed lamb tripes, in the picture below), syrne/сырне (slow cooked lamb), and that is pretty much it. 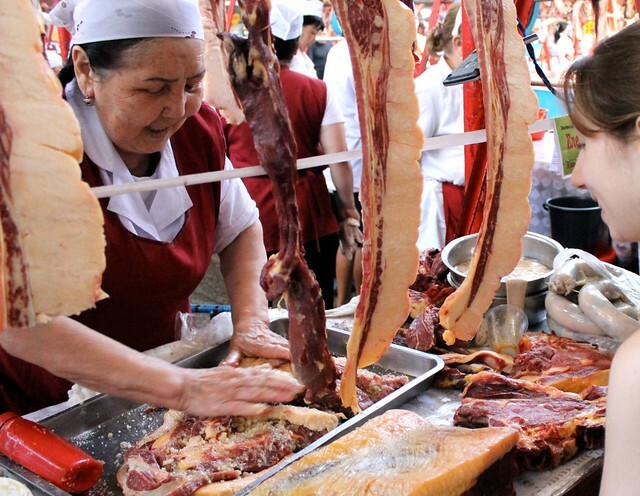 However as in the past Kazakhstan accepted quite some immigration from Uzbekistan, China, Turkey and other neighboring countries several more cuisines are now strongly represented there. 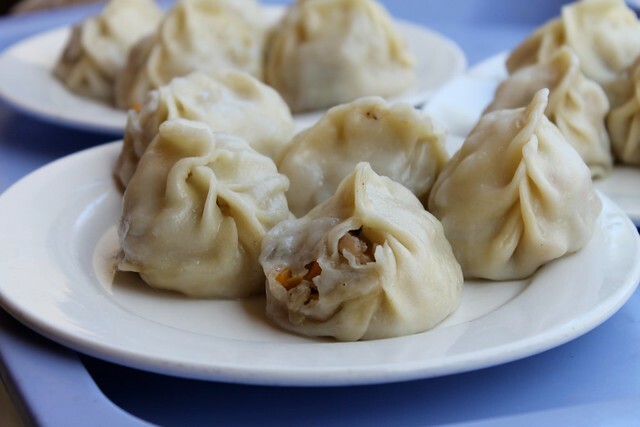 These are responsible for many other dishes, which are nowadays often associated with Kazakhstan: Uzbek - for pilaf/plov, manti dumplings, sorpa soup and samsa/samosa (meat stuffed pastry); Uyghur and Dungan - for lagman noodle; Turkic - for chak-chak sweet pastry. It turned out impossible to classify shashlik (roasted meat on a stick) this way (you will see it cooked by all the nationalities but in different styles). I had certain trouble picking restaurants to visit in Almaty. Web and blog search was not yielding much and now I know that most good places often do not have any websites. Fortunately, I got lot's of valuable advice from friends, who have lived or traveled to the city before. Even more fortunately I met Radmila Mingazova, a beautiful girl who recently opened Bon Appetit (one of the first fun cooking schools in Almaty). Without her help the trip would never be any close to what it was. 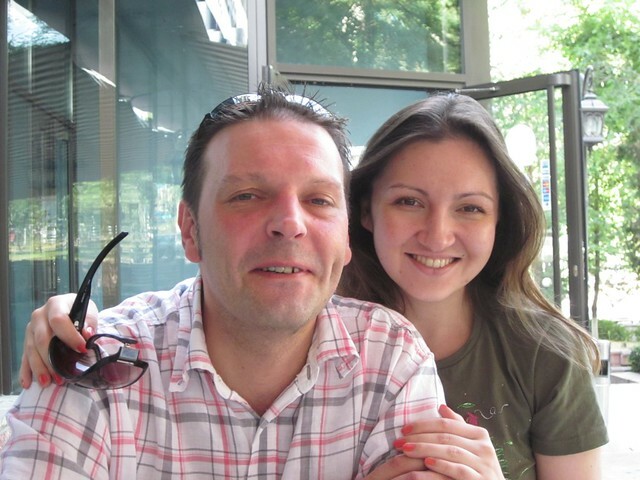 That's Radmila in the picture below, together with her French chef, Nicolas Lesser. For some reason most of Kazakh food restaurants advised to me by the locals looked too posh and touristy to me. May be that was wrong impression, or may be the impression was true and the locals just don't go out much to eat Kazakh food (more to eat Italian, Japanese etc.). Anyway, this time I ended up not visiting any of those, though I do believe that could actually be a good experience: Zhety Kazyna, Gakku, Zheruyik, Tau Mergen, Sarbaz, Samal, Line Brew. There are also two national casual eatery chains, locals say good things about: Kaganat (self service canteen in the picture above), Tubeteyka (casual dining). It does make sense to have some Uzbek food in Almaty, as it's available there in the highest quality. I got to visit Uzbechka restaurant (one of the several same named restaurants in the district) and quite liked it. It has a very casual canteen section and a separate section with full service dining. That was the first time I tried dining in a tapchan (a kind of arbour where you eat seated on pillows at a low table) and it was amazing. Uzbek pilaf/plov, manti (a special version with squash mixed into the meat filling) and local bread were extremely good. Kaurdak and shaslik weren't as good and the service was very slow, but still the overall impression was positive. 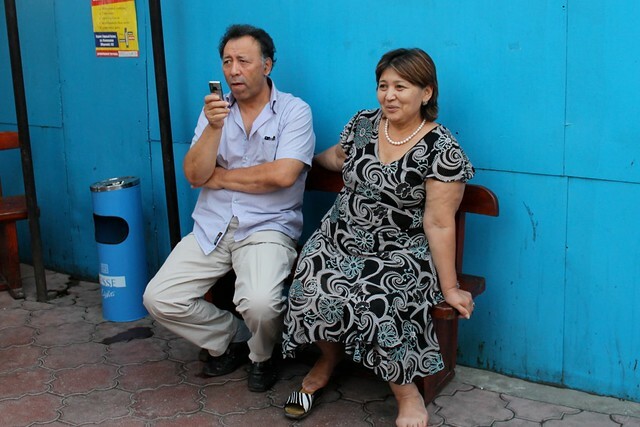 More pictures of Uzbechka are here. Apart from Uzbechka it is worth paying attention to Alasha Uzbek restaurant. It occupies a large territory and feels like a little self sufficient town. All its buildings, gardens and fountains are beautifully decorated Samarkand style (I was even told that materials were brought from there). I visited Alasha to have a look at the ambiance, but didn't get to try the food. However several of my friends, who I really trust, said the food is wonderful there. The place I loved the most during our trip was Uyghur restaurant Orgilay. That's a great place to try Uyghur lagman. 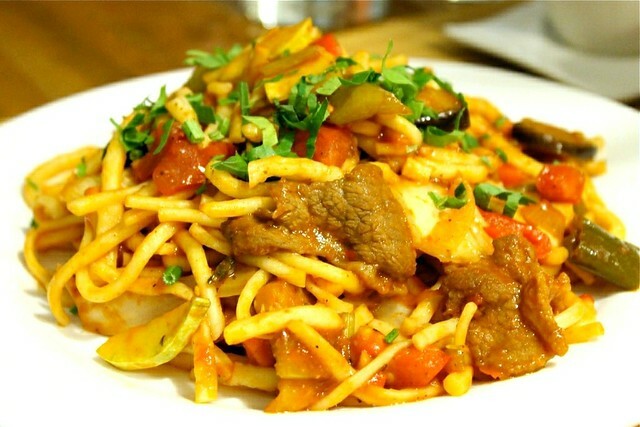 Lagman is a kind of fresh noodles (somewhat resembling udon noodles) cooked with meat and vegetables. Orgilay is owned by a lovely mature couple, who were sitting next to the entrance and greeting the guests when we came for dinner. The service was extremely attentive and hospitable. Luckily we managed to write down what we had, otherwise I'd never remember: guiru lagman (noodles with meat and veggies chopped coarsely, in the picture above), sairu lagman (noodles with meat and veggies chopped finely), tsomyan (fried lagman, in the top picture of the post), lazru (beef and bell pepper stir fry, in the picture below), kazan kovap (veal and onion stir fry), funchairu (funchoza with meat and veggies) and samsa (meat stuffed pastry). All were great, especially sairu lagman and funchairu. Later on I got a chance to meet and thank the chef. His name is Meerjat and he is Uyghur from China. Luckily Alia (our beautiful waiter) was able to mediate the conversation as a translator as Meerjat speaks either Kazakh or some Chinese dialect and I yet speak none of these. More pictures of Orgilay are here. Another place I loved was Orient Turkish cafe we visited together with Radmilla. She frequents this place since her Turkish friend from Almaty brought here there. It is a hospitable casual dining cafe with extremely fresh and tasty food. I had a delicious yogurt soup and eggplant salad, accompanied by incredible warm flatbread. More pictures of Orient are here. 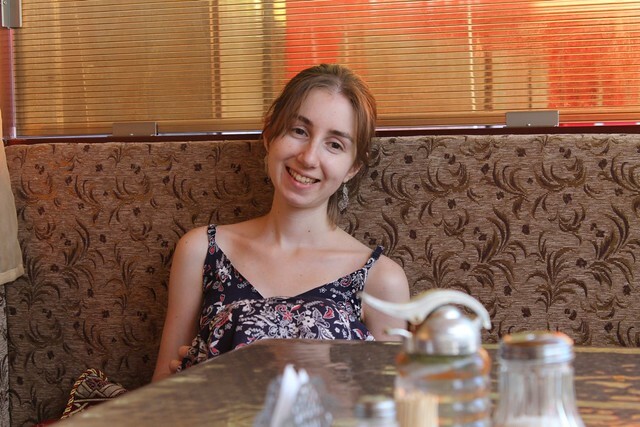 Other international places I was advised to visit were: Govinda's (Indian vegetarian), Golden Buddha (ethnic tea room), French connection (newly opened cafe, whose chef is Nicolas Lesser from France), Favor (gastropub), Pomodoro (Italian), Affiсha (mixed European), ТепЛица (mixed European).